The Marines went to war as part of the American Expeditionary Force, bitterly resented by the Army and General Pershing. The Army tried to use them solely as labor troops and replacements, but the German spring offensive of 1918 forced the issue. The French begged Pershing to commit his partially trained men, and two untested American divisions, supported by British and French units, were thrown into the path of five German divisions. Three horrific weeks later, the Marines held the entirety of Belleau Wood. The Marines then fought in the almost forgotten Blanc Mont Ridge Offensive in October, as well as in every well-known AEF action until the end of the war. 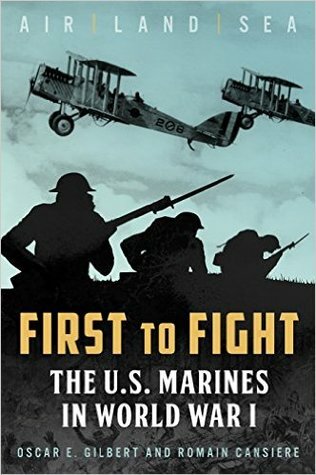 This book will look at all the operations of the Marine Corps in World War I, cover the activities of both ground and air units, and consider the units that supported the Marine Brigade. It will examine how, during the war years, the Marine Corps changed from a small organization of naval security detachments to an elite land combat force.